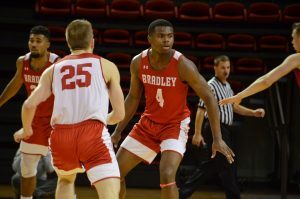 Entering the Missouri Valley Conference tournament, the Braves knew they needed three wins in three games to keep the season alive. In front of a packed Shea Stadium, Bradley did just that. They defeated Southern Illinois Edwardsville in penalty kicks in the championship game, earning an automatic bid to the NCAA tournament. After 110 minutes of scoreless soccer, the Braves and SIUE moved to penalty kicks to decide the MVC tournament champion. The teams were knotted at three goals apiece after five penalty kicks, so the match moved to sudden death. Freshman Keegan Balle drilled his kick past the SIUE keeper forcing the Cougars to answer with a goal of their own. But SIUE’s Ryan Wilhelm sent his kicked high and off the crossbar to give the Braves the tournament title. Junior Bobby Smith said it was great to see the team’s hard work culminate in an MVC Tournament championship. 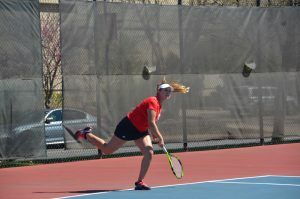 In the semi-finals, the Braves trailed No. 12 ranked Creighton 2-0 before netting the final three goals to upset the MVC regular season champions. Smith said no matter the situation, the team doesn’t panic. “It seems like this year we have grown so close through the good and the bad that even if things take a turn for the worse, this team really comes together and is great at responding,” he said. The Braves became the first team ever to win an MVC Championship on its own field. DeRose said there is something special about clinching a championship in front of your hometown fans. Smith said it was a special moment for the team. 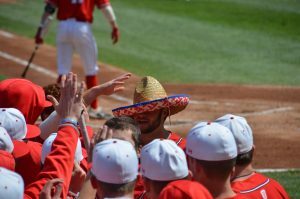 With the MVC championship in hand, the Braves attention shifts to the NCAA tournament.